Let’s say you run a query that returns a column containing the file name, and another column containing the image data. 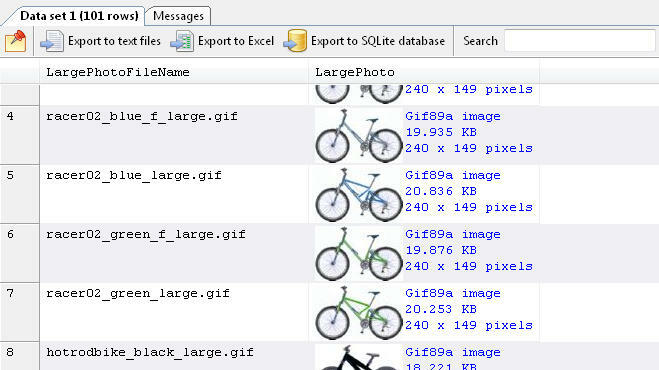 You want to name the exported files using the values in the LargePhotoFileName column. 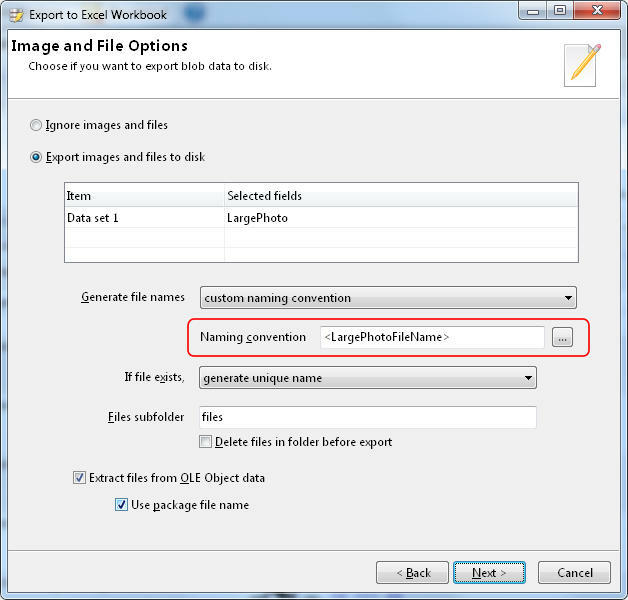 In any of the Export options, on the Image and File Options page, simply enter the value <LargePhotoFileName> in the Naming convention item. 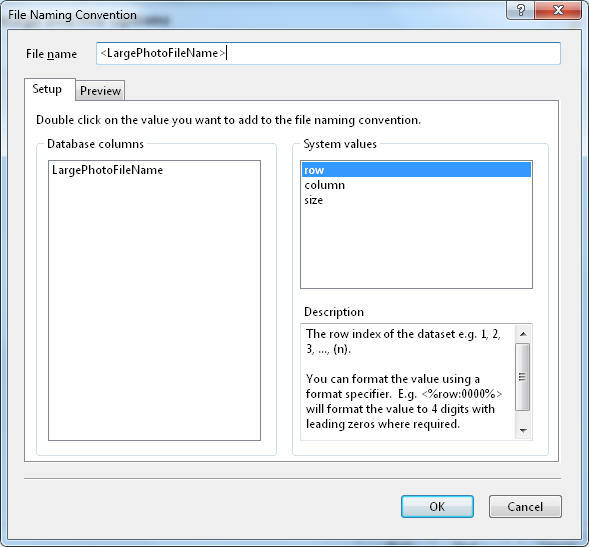 You can also click on the ... button beside the Naming convention item to add the field name, and also other system values supported by SQL Image Viewer.